Living/dining/kitchen combo makes the perfect HQ for movies, games and borderline-ridiculous amounts of snacks. This is a special occasion. It's not every day you can take the time to stop and watch the sky. Sandwich fixings. Cereal. Bag salads. See where this is going? Keep it simple - you're on vacation. Baytowne Golf Club, The Link Golf Club and Santa Rosa Beach & Golf Club are all located within 4.5 miles. 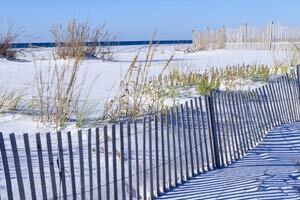 30 A Suites is located in Santa Rosa Beach, Florida away from the crowds that you would typically find in Destin. You’re less than a mile to Topsail Hill Preserve State Park – where you’ll find over three glorious miles of secluded white sand beaches, coastal dune lakes, and twenty-five-foot sand dunes. If you’re visiting during the summer, take advantage of free transportation provided by Sunshine Shuttle. Pack a picnic and make a day of it. Spend hours lounging on the spectacular beach, or rent kayaks or canoes and get out on the water. Back at the resort, go for a quick dip in the outdoor pool, or lounge poolside with a good book while the kids race each other to see who the fastest swimmer is. If you’re up for a workout, head to CoreFit, just two miles away. Daily or weekly passes are available to purchase, and CoreFit is open twenty-four-seven, so you can get your workout on whenever it’s convenient for you. Studio condos sleep three guests that are over the age of twelve. Two and four bedroom condos sleep five to eight guests and welcome all ages. All condos are individually furnished and decorated and come equipped with an in-suite washer/dryer. There’s a Publix grocery store and a Walmart Supercenter nearby; perfect for stocking your full kitchen. Take a night off from cooking dinner and head across the street to Elmo’s Grill. This seafood restaurant has been open since 1990 and is famous with both locals and tourists alike. Dine on crab, lobster, steak, chicken and even barbecued alligator! After dinner, head back to your condo for family movie night thanks to the flat screen TV with DVD player. Let the kids bring favorite movies from home, gather everyone on the couch and get ready for a fun night in. Big Kahuna’s Water and Adventure Park has everything your family needs for a day of fun. It features over forty rides, slides, and water play areas. Little ones won’t be able to get enough of the pools, slides, and fountains in the Water Play Area. Go for a ride on the four-lane slide Kowabunga Racer, the dual slides of Hammerhead or the Cobra Twister that flows into a lazy river. The Track Destin is a family recreation center that offers go-karts and rides that even the little ones can enjoy. There are five types of go-kart rides ranging from Kiddie Karts to Wild Woody. Kiddie Karts are for riders between three-foot-six and four-foot-two. It’s on a small, circular track that is safe for the youngest kids to enjoy. Wild Woody is on an elevated, multi-level track. It features single and double karts. When it comes to rides, the kids won’t be disappointed. For children who are four-foot-ten and under, there’s the carousel and the Ferris wheel. Little ones will love Red Baron Planes, the Jungle Jumper, and the swings. Destin Commons Shopping Center features a variety of shopping and dining options. For apparel, there’s Lucky, Forever 21 and American Eagle. Tweens will love Justice and Claire’s. Let the kids make their own special souvenir at Build a Bear. Need a mid-afternoon caffeine fix? Starbucks has you covered. Check out Books-A-Million for your next poolside read. Hungry? Johnny Rockets, Red Brick Pizza, and Smashburger are just a few of your choices. - The front desk is open 9:00 AM-5:30 PM daily. Guests that are planning to arrive outside normal front desk hours must contact the property in advance using the information on the booking confirmation. - Guests using GPS to locate 30 A Suites are advised to input 64 TopSail Village Drive. Children younger than 12 years old are not allowed at studio units. Two- and four-bedroom units are suitable for children of all ages.